Compact high-quality smart display and a development platform with LM3S9B95 device. 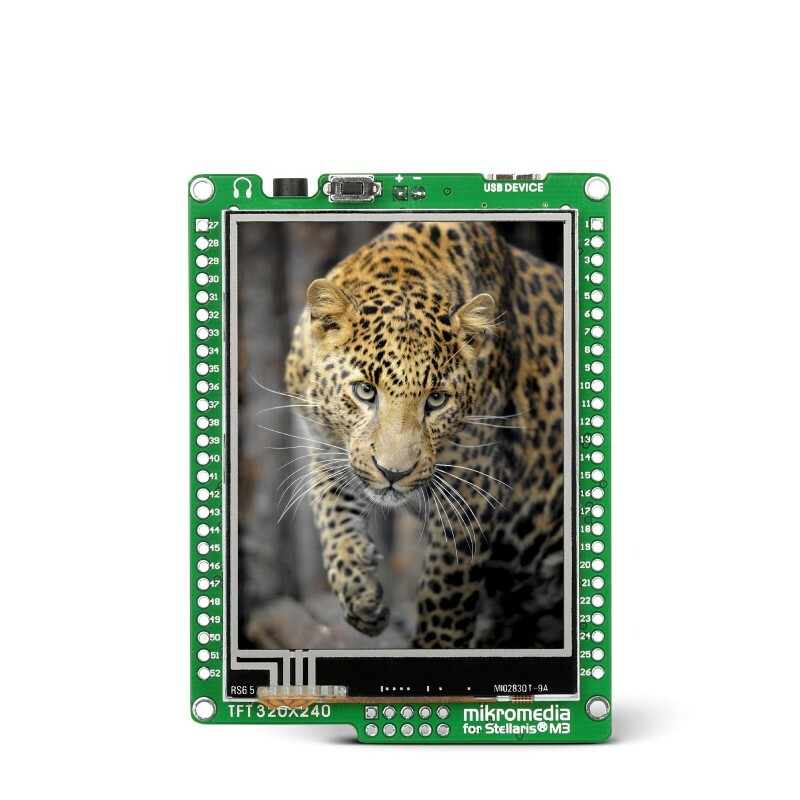 Large 320x240 TFT Color Display with Touch Screen and Stereo MP3 Codec chip with great performance give you true power to build GUI-centric embedded applications. This board can be used for both development or as a final product. 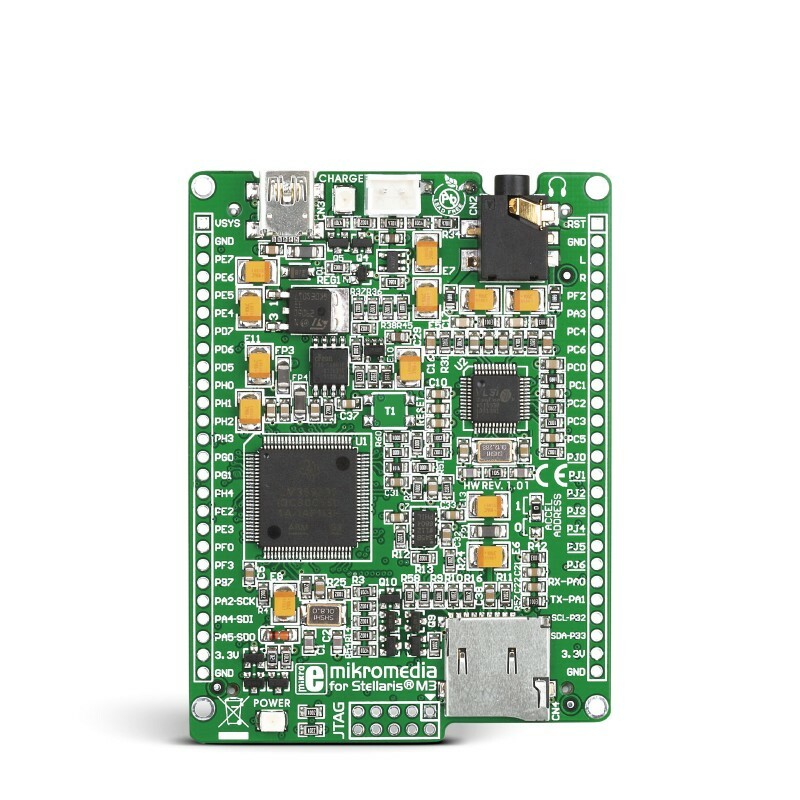 Start building your first applications with intuitive, user-friendly menus and dashboards using TI Stellaris ARM Cortex-M3 microcontroller. 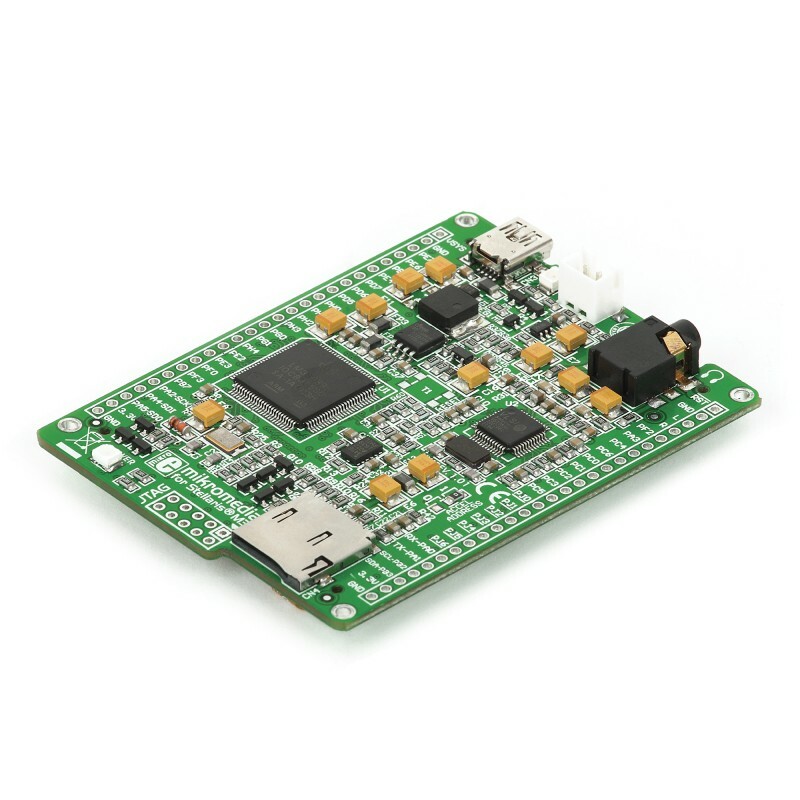 This board provides a compact high-quality multimedia development platform for LM3S9B95 device. Highlights. 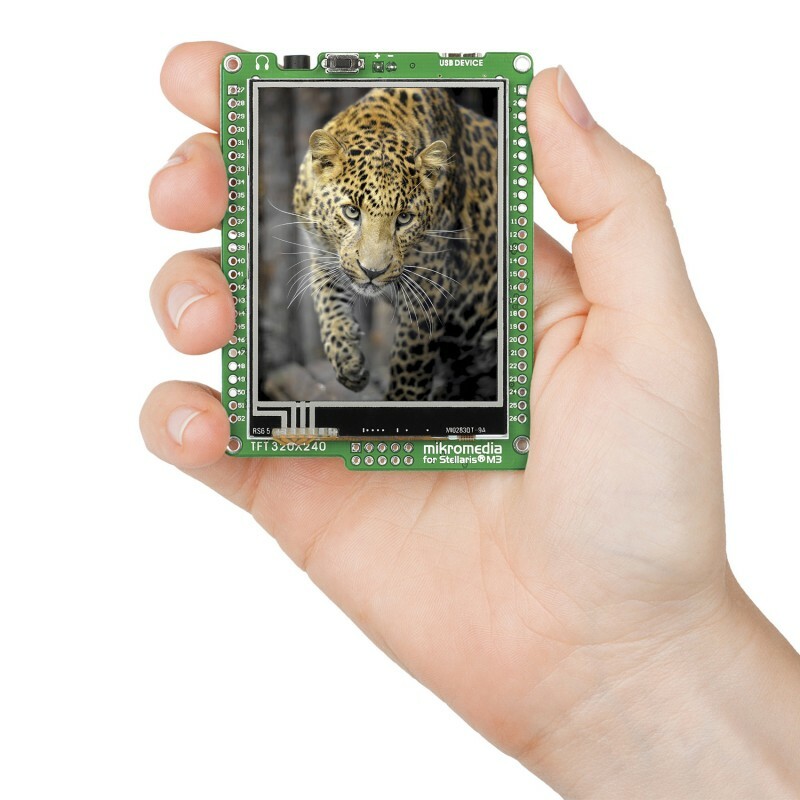 Large 320x240 TFT Color Display with Touch Screen and Stereo MP3 Codec chip with great performance give you true power to build GUI-centric embedded devices. Charge your batteries directly from USB port. No additional electronics, or expensive adapters. You can save pictures, sounds and other media files on microSD memory card and 8Mbit Serial Flash Memory and use it in your application. On-board ADXL345 Digital Accelerometer allows you to measure acceleration. Programming. On-board LM3S9B95 is preprogrammed with fast USB HID bootloader, so it’s ready to work right out of the box. You don’t have to spend a dollar more on programmers. For those who need it, board can also be programmed and debugged using the external mikroProg™ programmer. Compilers. mikromedia for Stellaris® M3 is fully supported by mikroC, mikroBasic and mikroPascal compilers for ARM. Compilers come with dozens of examples that demostrate every feature of the board. GUI design with Visual TFT. Easily create fantastic colourful graphical user interfaces (GUI) for mikromedia in Visual TFT software. Even total beginners will be able to create amazing applications.